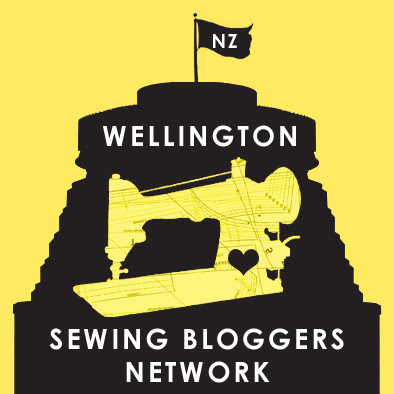 A few posts ago I mentioned that I was trying to sew more for others, as my wardrobe is rapidly reaching bursting point. I made linen shorts for Hamish, and at the same time I made a Pauline Alice Xerea shift dress for my lovely Mum. She was looking for a nice breezy dress to combat the hot weather we were having, but something that was still stylish and nice enough for the office. 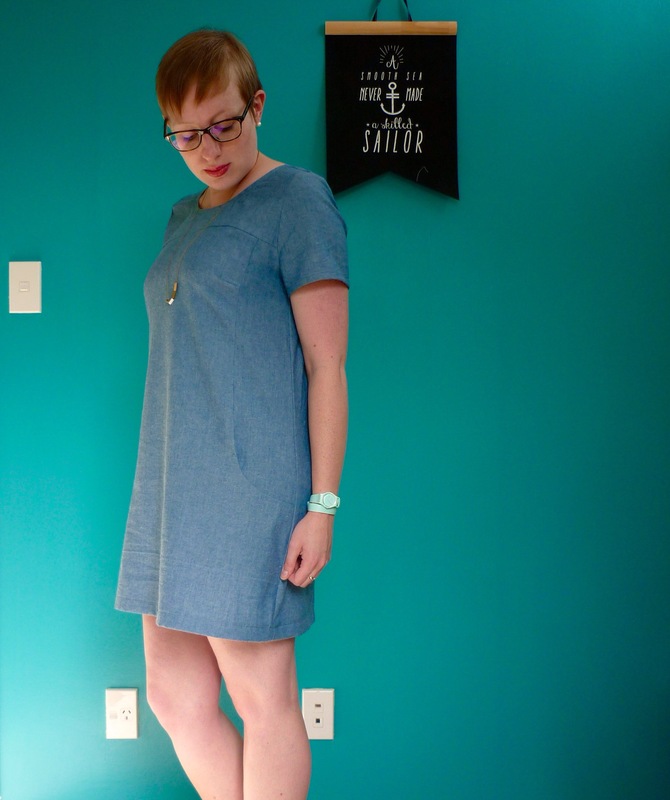 I’ve got a few sack and shift dress patterns in my pattern library, so I got her over to have a look, but wasn’t surprised when she picked Xerea! I thought she would like the pockets and the shape of the dress, and she did. 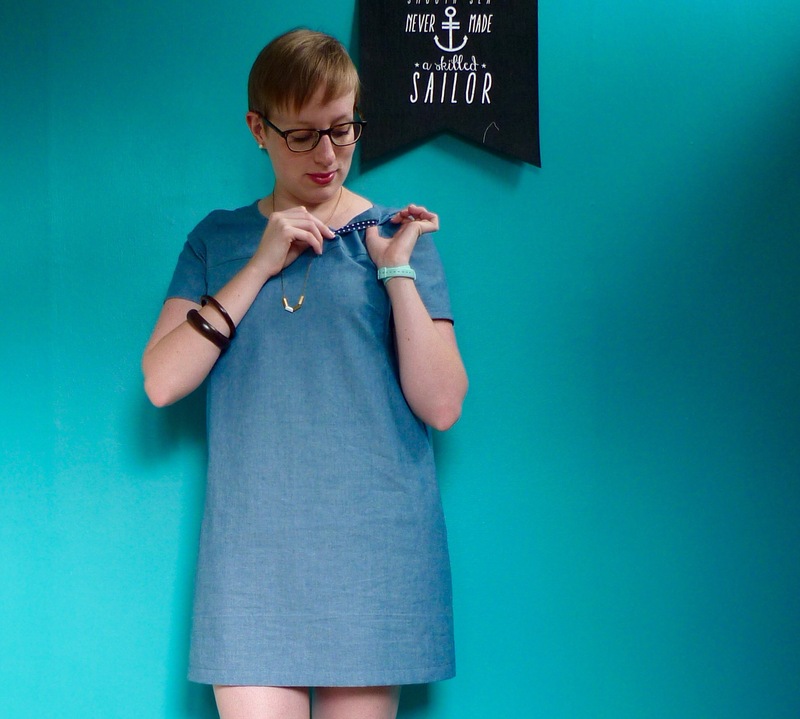 Then she picked out a lovely teal milled linen from The Fabric Store, and I got sewing! The first thing I did was lengthen it by about 30cm. As drafted the pattern is really short, and Mum is several inches taller than me, so I thought I would hedge my bets and add loads of length that I could trim back later! It turned out to be about the right length, I trimmed off 2cm and then turned up a 3cm hem to get it sitting just at the knee. We also opted not to add the short sleeves on, so I trimmed the armscye back a centimetre or so and then hemmed them with the same bias tape I used around the neckline. This is the third time I’ve made this pattern, and it always comes together really quickly and neatly! I love the princess seams/dior darts/curved pocket combo (not that you can see any of those details particularly well in this plain linen, but they’re there and are really nice), and the V neck at the back is also a lovely detail. The only thing I’d change for next time would be to scoop the front neckline out slightly, as Mum finds it slips backwards a bit and can become a bit restrictive, depending on how she’s sitting! She’s worn it heaps, which is gratifying, and we’re talking about trying out a long sleeved woolen version for winter. I think I’d change the back neckline to be a standard high curve, drop the front neckline, and add a centre back seam with an invisible zip for a winter version. Or maybe put a keyhole and button in the back yoke? I’ll need to have a think about it! This is view A, the shift dress with Dior darts and cap sleeves. 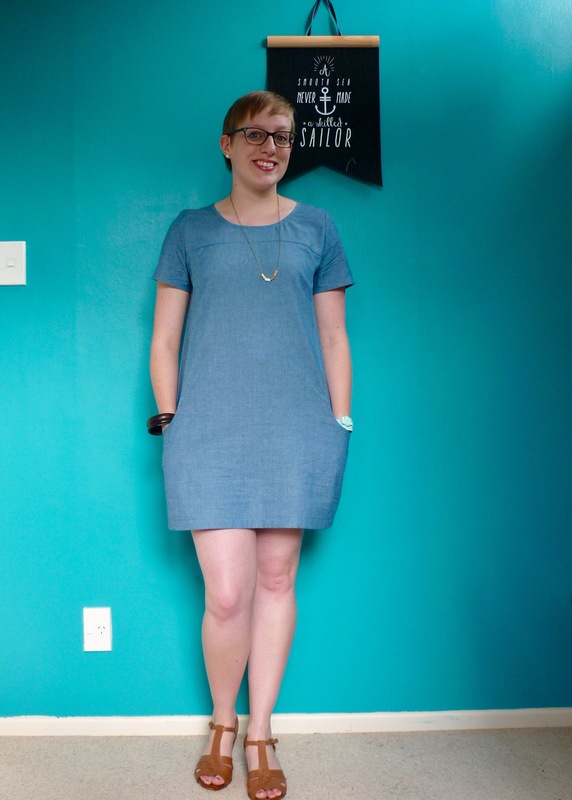 I made it in some lovely soft cotton chambray that I picked up at The Fabric Store during their VIP sale a couple of weeks ago. I didn’t mean to buy it, but I saw it on the other side of the counter when my other fabrics were being cut and grabbed some on a whim. I had thought to make into another Dress E from the Stylish Dress Book, but then when I got home I decided it should be a Xerea instead. I think it was a good decision! This was a really fun dress to put toghether. Its a simple shape, but I love the details that Pauline Alice has put into it. The pockets are awesome, I love the way the side panel curves into a princess seam at the top, and swooshes into the curve of the pocket at the bottom. I also love the inclusion of the Dior darts, so 60’s! Its funny, I had never heard of a dior dart until a few months ago, when I read about them on Pattern.Scissors.Cloth, and now I’ve made something with them! Another lovely detail is the V neckline on the back yoke, you know how I love surprising details on the back of my clothes! I considered topstitching the yokes to match the neckline, but the seam allowances go in different directions on the front and back because of the various seams which intersect them. 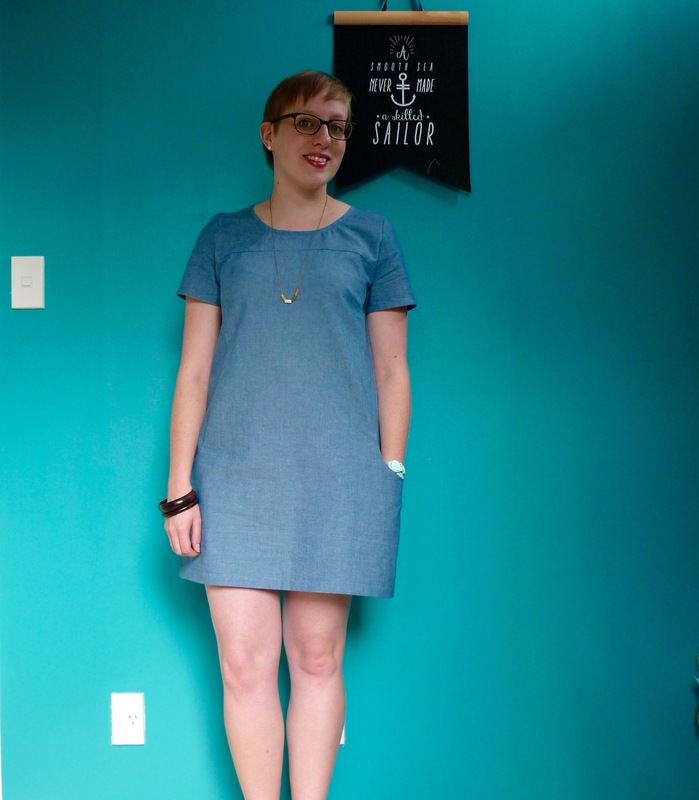 I could have forced the front seam allowance down to match the back, but I decided not to bother. I used some cute navy polka dotted bias tape to bind the neckline. I considered adding piping or something to the side panel seams to highlight the pockets, but in the end I’m glad I left them plain. I feel like this is a really good blank canvas dress for summer, good for showing off jewelery and whatnot. There are a few changes I’ll make for next time, mainly around the bust. I think I need to move the bust dart up by a small amount, maybe only a centimetre? 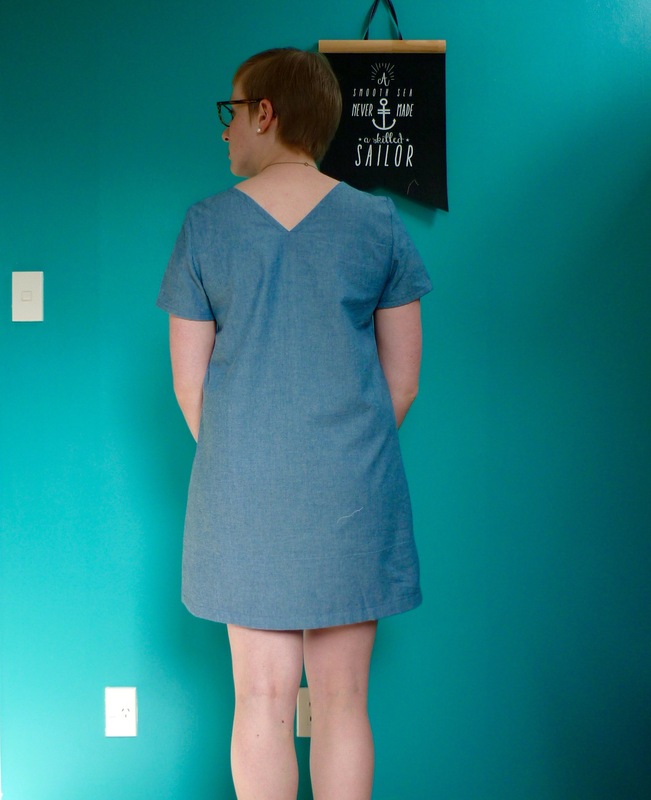 I took 5/8″ off the top of the dress before I sewed it to the yoke to accommodate my short upper body, but I think they need to come up just a smidgeon more. Or maybe they just need to be angled slightly less? I think the apex is in about the right place. I don’t know, I’ll need to have a play! I’m also considering adding some fish eye darts to the back, just to give it a bit more shape. I’d love to make a long sleeved wool version for winter, I think that’d be really nice. The yoke and side panels offer lots of opportunities to play around with bias too, so plaid would be fun. This one is the second Xerea I made, the first one was for my friend Miriam. 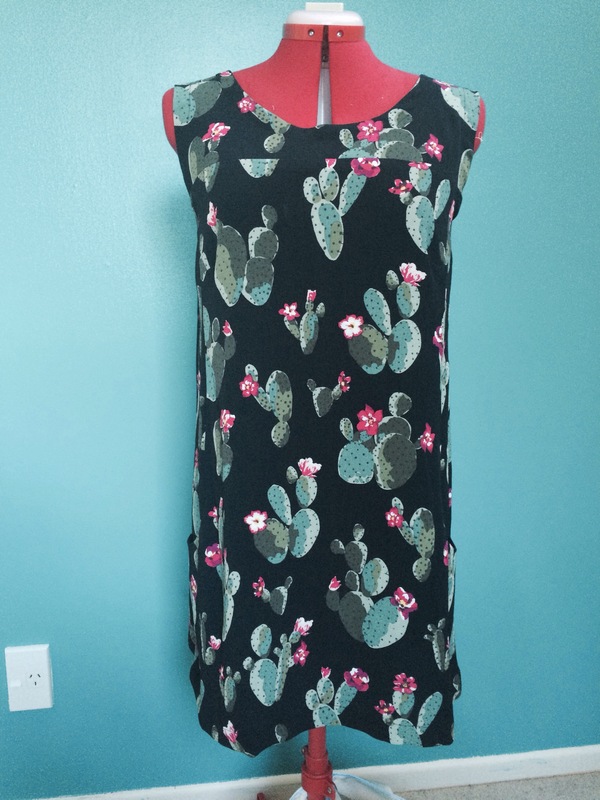 She picked an awesome cactus print rayon crepe, from Spotlight of all places!